Think about this innovation in the hair care category: Conditioning your hair before you wash it. Why not??? 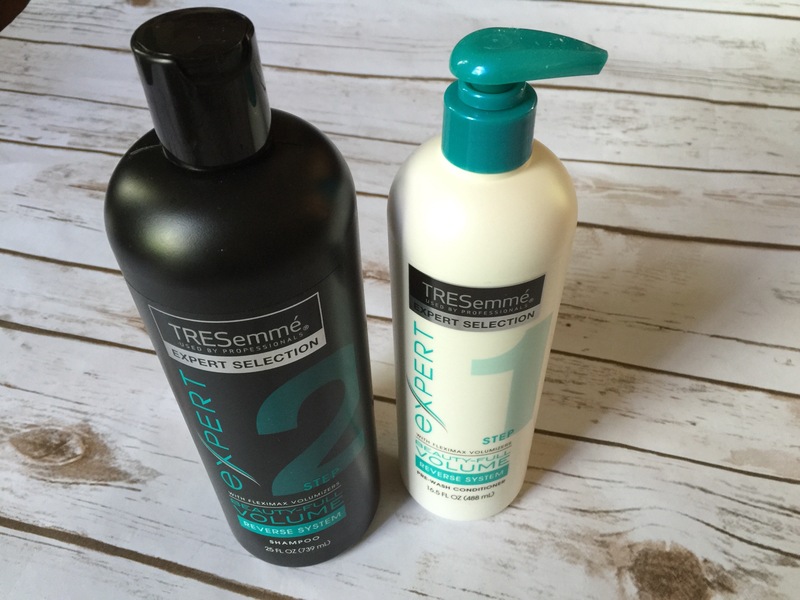 TRESemme just launched a brand new reverse wash shampoo system that reviewed. Happy to report I absolutely LOVED this idea and ultimately the feel of “conditioning” my hair before washing it with shampoo. 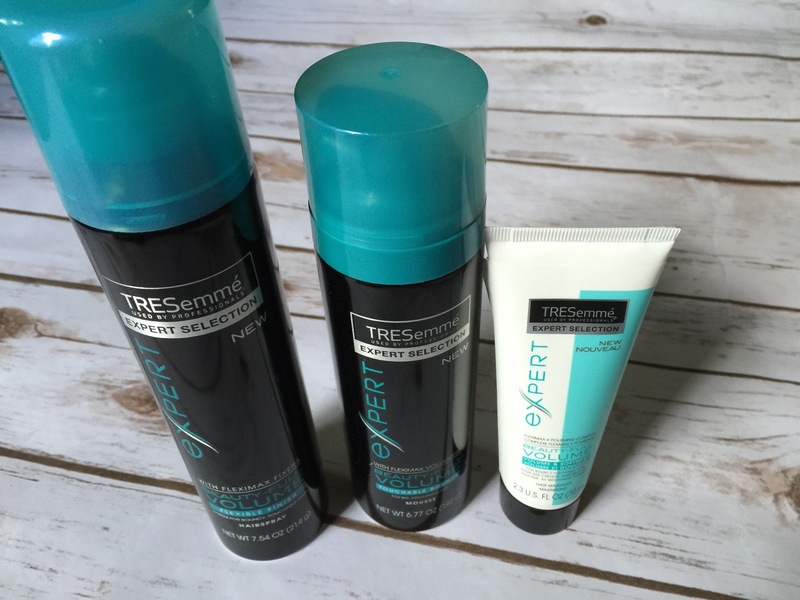 Take a peek at the products below as I think you’ll want to try the TRESemme Reverse Wash shampoo line too! Honestly I love this out of the box concept and change in behavior. 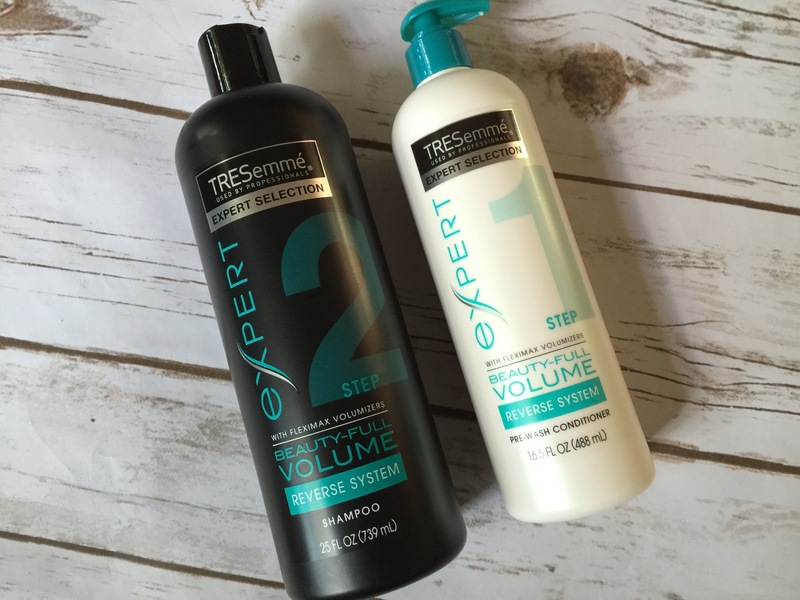 TRESemme’s new Beauty-Full Volume collection is a revolutionary reverse wash haircare system. It’s available at Walmart and totally ultra affordable $4.94 each! Awesome. You can purchase TRESemme’s new line in store or online at Walmart.com here. The theory behind this new line is the concept that you condition first to soften hair, then shampoo to wash away weight. Makes sense right? Out of the box idea but sounds super simple and left me wondering why I never considered it before or no hair dressers or shampoo brands ever suggested this to me. Makes sense right?? When I washed my hair with the pre-wash conditioner first and then went to do my shampoo, my hair was ultra lightweight, not full of tangles and so easy to massage the shampoo into my scalp and on the ends of my hair. I loved it! TRESemme says doing it this way leaves your hair smooth, polished, and with plenty of bounce. Pretty cool of TRESemme to rewrite the hair washing rules. Love it! After the pre-wash conditioner and shampoo, you can style your hair to complete the look with other products in their “BEAUTY-FULL” volume collection – maximizer, mousse, and hairspray. 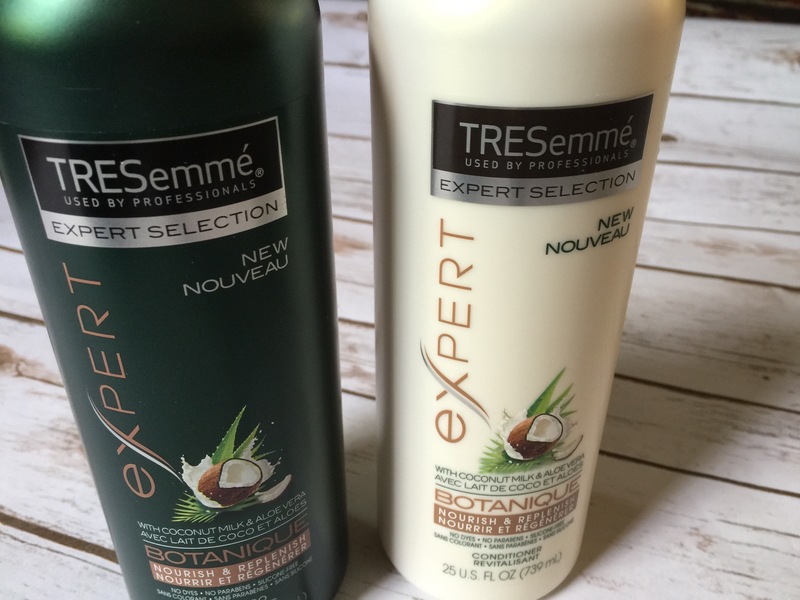 We were also shipped the new TRESemme Botanique collection to test out. Love that this has no parebens or dyes. And it’s full of yummy smelling and feeling coconut oils, coconut milk and aloe vera extract.